To read our accounts please click on an image below. Download our Company Profile that explains our areas of activity. The Company announced in the pre-trading update on 5 April 2018 that, subject to shareholder approval at the annual general meeting in September 2018, it proposed a final dividend of 4.50p per ordinary share (2017: 4.00p). The dividend was approved at the AGM and was paid on or around 8 October 2018 to shareholders on the register at 28 September 2018. In a statement issued before the AGM on 27 September 2018, the company proposed a dividend of 4.90p per ordinary share (2017: 4.25p). It is proposed by the Directors that this dividend will be paid on 8 April 2019 to shareholders who are on the register of members on the record date of 15 March 2019. We have increased our dividend payout every year since our inaugural dividend in 2012. 2018 Notice of General Meeting posted to shareholders on 16 December 2017. 2018 Notice of Meeting posted to shareholders on 17 August 2018. 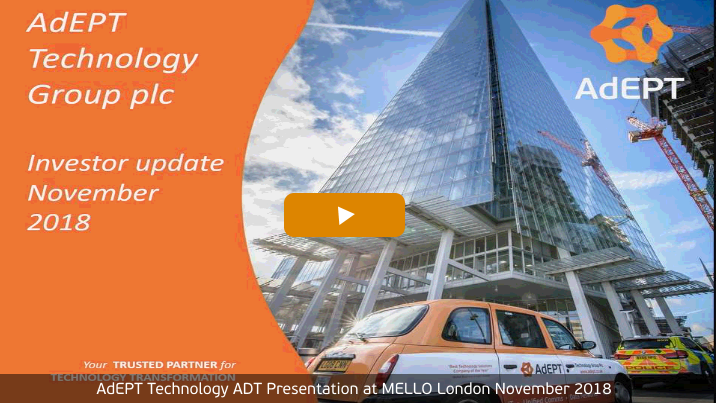 AdEPT Technology Group plc is incorporated in England and Wales, Company registration number 4682431. 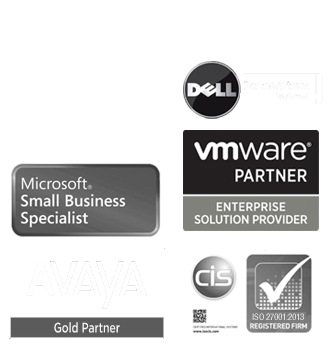 We operate primarily within the UK. 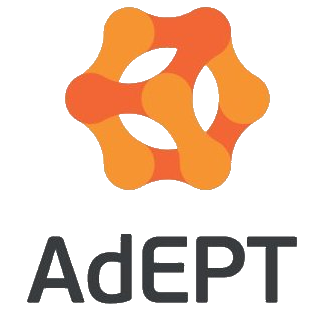 On 1st October 2018 we formally changed our name from AdEPT Telecom plc to AdEPT Technology Group plc; recognising that our heritage calls and lines products now only represent a minority of our revenues. The percentage of shares not in public hands is 58.7%. All qualifying shareholders will receive FREE line rental.